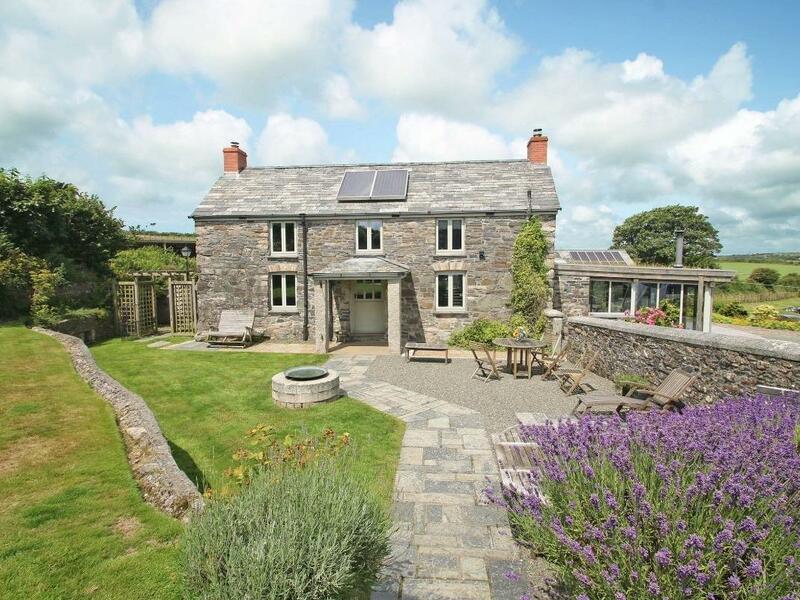 A detached, part cob/part stone traditional Cornish cottage. 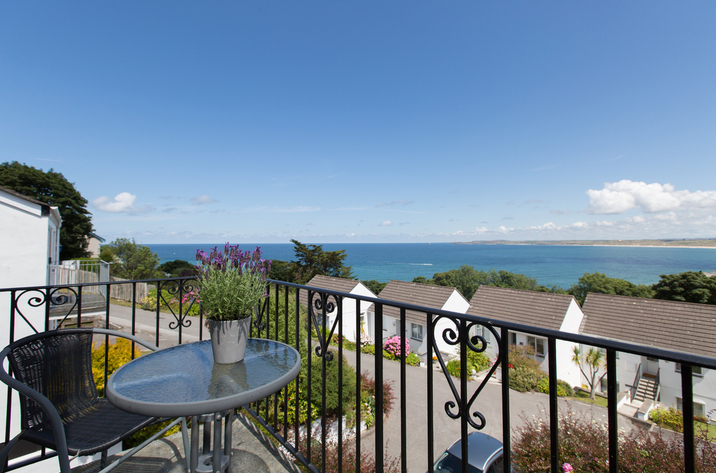 Situated in a quiet lane just four miles from Newquay and the north coast beaches. Good location for touring all over Cornwall. Two bedrooms (sleeps four) plus cot. Well behaved dogs allowed under certain conditions. Downstairs bathroom with shower and jaccuzi type bath. Fully fitted kitchen with fridge/freezer, hob, double oven, microwave and washing machine. Cottage is heated with solid fuel system and does not have a "flick a switch" system in colder weather. VERY IMPORTANT: After September 2011 this cottage may be booked directly with the owner (Graham Baskerville). Please telephone on 01726 828476 or e-mail on claymanb@aol.com Alternatively, booking enquiries can be made via our advert on the Holiday Lettings website. Please see link below. We have more recent and unedited reviews on Tripadvisor for 2012 & 2013 which have earned us top ratings from former guests. We are obviously very proud of this perfect record and feel it demonstrates our standards have been maintained at a very high level but at affordable prices. Great Location. Peaceful and quiet. Perfect get away from it all location. Beautiful and well equiped cottage (one of the best). The owners made us feel very welcome from the start. Their attention to detail was very evident and it is, of course, such things that make all the difference. 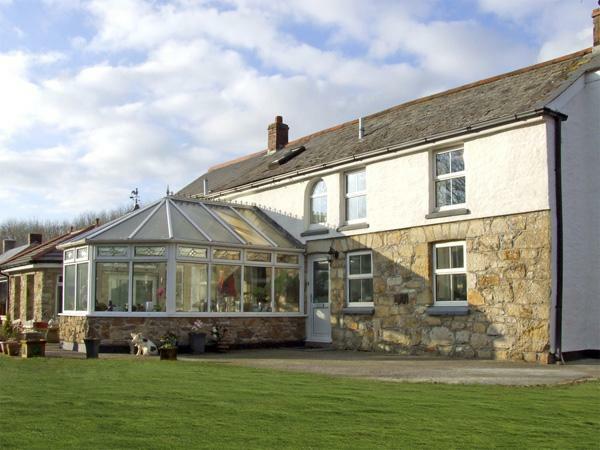 The location is great; quiet countryside and not far to super beaches and well placed to explore Cornwall. This cottage must be the best we have stayed in by a mile so far. The welcome pack left by the friendly owners was a welcome surprise and we even had a roaring fire awaiting us upon arrival. The owners were aware that this was our honeymoon and even left champagne and chocolates for us to enjoy!! We found travelling from the cottage to any of the beautiful gems Cornwall offers was easy as the main roads were only minutes away. The cottage was so well equiped it was just like home from home. 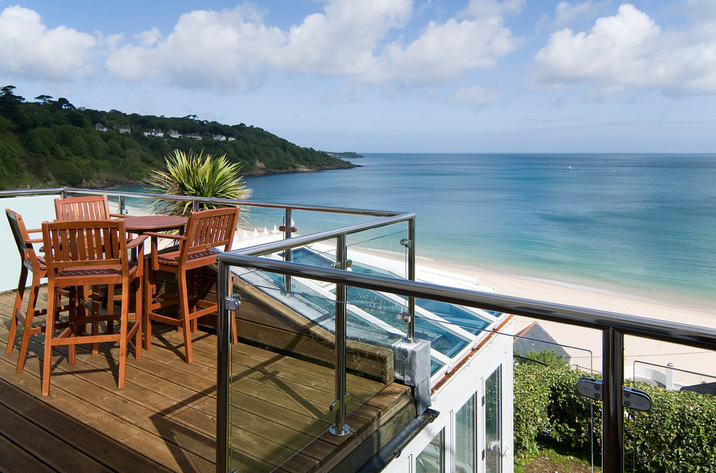 Luxury at a great price is how we would sum up our wonderful weel at Sunrise Cottage. We had a very pleasent week at Sunrise Cottage. The location is ideal for exploring Cornwall. The cottage is very cosy and well kept. The owners made us very welcome with plenty of goodies and a nice roaring fire. They realy do go the extra mile. I would recommend Sunrise cottage to anyone. We had a wonderful week at Sunrise Cottage. It is a delightful period property in a well-situated location. The cottage itself is faultless - a cute and cosy, chocolate box home. The owners take great care to make you feel very welcome on arrival - roaring fire, bubbly in the fridge, chocs, cream tea scones and teddies on the kids' beds. It makes a huge impact after a long drive. Just watch your head on the intimate staircase! The village itself is little more than a bolthole to the rest of Cornwall, but very well positioned for both the west and south coasts. It is a shame that the local pub has closed down so there is not much in walking distance, although having Trerice (National Trust property) on our doorstep was a bonus. Beyond this, we cannot fault this cottage or the owners' efforts. An absolute treat! Highly recommended. Cannot fault this cottage. I have stayed in quite a few all over the country and this has to be the best yet. The place was spotless and equipped like a home from home. The little extras that the owners provided were the icing on the cake- even my son's cot bedding was blue for a boy!! If you stay here you will not be disappointed. We found Sunrise Cottage to be enchanting, peaceful, clean and very comfortable. The cottage is ideally positioned for visiting many cornish attractions, our favourite, Mevagissey, is just 30 mins away. The owners were very helpful. There were many welcome goodies to be found on our arrival which all added to the pleasant experience. Sunrise is ideal accomodation whatever the season. We hope to return in the future. Sunrise cottage was exactly as described. It was quaint and very comfortable. The owners touches were much appreciated, especially after a long journey. From the cream tea to the dressing gowns,everything was provided for us including toileteries, cleaning materials etc, which all made the start to our holiday special, we had no need to shop on our arrival. The cottgae was in an ideal location for discovering this part of Cornwall. it was situated in a quite loction but within a short driving distance of all the attractions. We would love to return to Sunrise Cottage again in the future. A charming cosy period cottage in a tucked away location on quiet lane. Unfortunately, the position offers no real views worth mentioning, and is not overlooked. 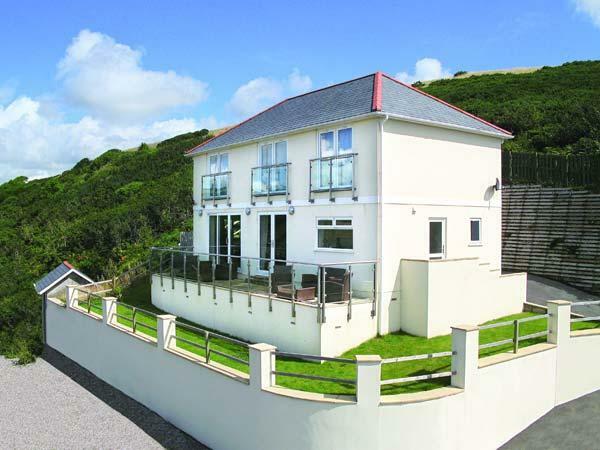 Location is great for North Cornwall coast with access to the trunk roads not more than 10 minutes away. Local supermarket (Morissons) is just 5 minutes or so by car. The standard of welcome is far above anything previously encountered with sweets, chocolates, Jam, Cream and scones, Tea, Coffee and Milk all awaiting after a long journey, a very welcome touch. The owners made a special effort to support our 6m Baby. The beams and internal finish are as you may expect for a cottage of this age, just watch your head for the first few days!. Make up of party: Faqmily of three: Parents 47, 39 and baby 6m. The "wow"s started before we even took over the cottage - driving past it an hour or two beforehand! This is a lovely cottage full of character. You soon get used to ducking under the low door frames and lighting the fire - and it all adds to the charm. But what really sets this cottage apart is the special little touches. Some owners leave you tea and coffee, maybe a pint of milk. In Sunrise cottage, as well as that, there were sweets, clotted cream, jam and scones. Most cottages have a telly, but never stayed in one with Sky. Many have cheap shampoo and handwash, this one had quality handwash and toiletries, and bathrobes! The cottage is a ten minute drive from the A30 and a 20 minute drive from the A39, the two main trunk routes through Cornwall. You can get anywhere from here in a reasonable amount of time. Local beaches and coves are superb, and there are heaps of quaint and quiet villages in the area. If you want a dose of normality, Penzance and Truro offer high street shops, and there's a big Morrisons ten minutes up the road. Make up of party: 35F, 37M, and 37M's 63F mum! Beautiful cottage with homely feel. Well presented, decorated and furnished, with lovely welcoming touches from owners. 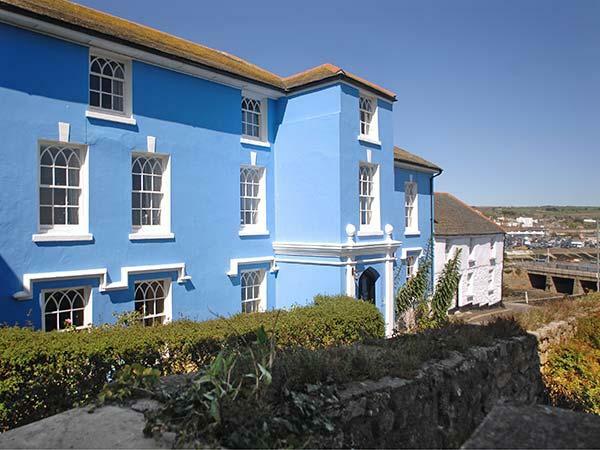 Ideally located for visiting any part of Cornwall. Cottage Review: We cannot rate this holiday cottage highly enough. It is a beautiful cottage both on the outside and inside. The owners had gone to great lengths to make us feel very welcome on our arrival, with many little extras, such as chocolates, milk, drinks in the fridge and scones and clotted cream. A lovely suprise after a long journey! 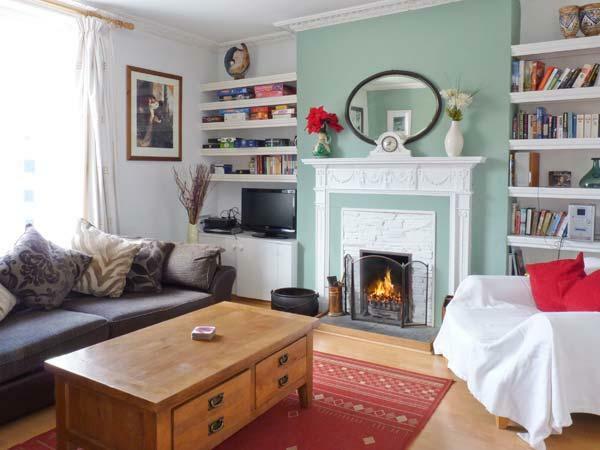 The cottage is decorated in a very homely style and makes a perfect cosy base from which to explore. It is in a great location on a quiet country lane, but also close to many attractions. If you are looking for a clean, comfortable, cosy country cottage, which is excellent value for money, then look no further! Cottage Review: A comfortable ,charming cottage in a good location ,lots of beaches only a short drive away. We slept well due to the good quality bedding . We were so impressed by the comfortable pillows and duvet that we asked the owner what make they were so we could buy the same for our home. The owner was friendly and helpful and could be contacted if needed. Cottage Review: Sunrise Cottage is amazing in many different ways. It is situated just outside of Newquay on a very peaceful road. From the second we stepped into Sunrise Cottage, my partner and I felt very welcomed. The owner kindly laid out biscuits and cake for us to indulge in and the fire was lit. We treated it as it was our own home, and we couldn't not for how well-presented it was. We also would like to emphasize how wonderfully countrified the cottage is - in other words, not spoiled by modern decor - including features such as exposed beams. It provided us with a comforting retreat throughout our stay, and the owner absolutely provided us with everything we needed and more. The cottage is surrounded by beautiful British countryside and inspiring locations and attractions. We visited Lanhydrock House (National Trust) in Bodmin whilst on our short break, which we would definitely recommend - it's absolutely beautiful. We also visited Trerice (National Trust) which is conveniently just up the road from Sunrise Cottage! Two beaches which we would 100% recommend visiting are Bedruthan Steps (Carnewas) for its magnificient views and Holywell Bay for it's sand dunes, beach rock clambering/climbing (!) and the caves! Cottage Review: My partner and I have stayed at Sunrise Cottage four times over the past year, twice in the middle of winter, twice in (allegedly) warmer months, and familiarity has only deepened our affection for the place. We're frequent visitors to Cornwall, and Sunrise is by far our favourite of all the places we've stayed. 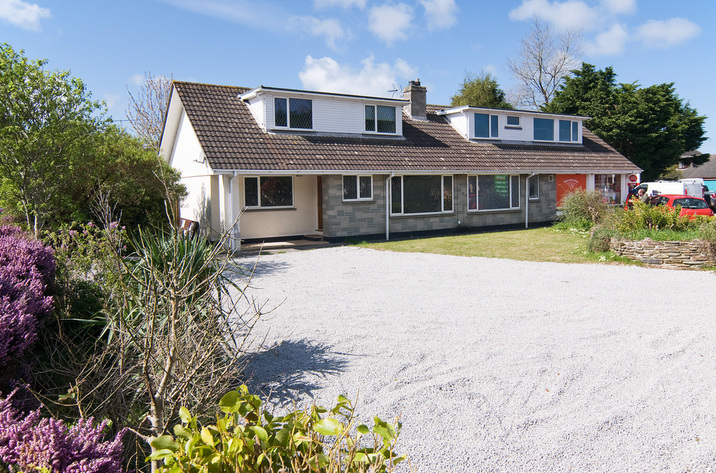 It's location is excellent - quiet and rural, but only 5 minutes from the main A30 and pretty central in the county so no part of Cornwall is beyond comfortable reach. There are also two supermarkets within easy reach - Morrisons about 5 minutes away, and Sainsbury's no more than 15. The cottage itself is characterful, charming and authentic but also practical - rooms are good sizes, the kitchen is large and well equipped, and there's a good sized flat screen television with DVD player and Sky. Furnishings are well chosen, comfortable and entirely inkeeping with the cottage. The real fire (which you must master in order to keep warm in the winter - there's motivation for you!) provides effective heating, and is very satisfying for those of us who have never experienced heating that didn't come from a little white box on the kitchen wall! The owners are a pleasure to deal with and go to great lengths to make Sunrise Cottage a very welcoming home from home, and it's the sort of place where we're as happy to stay in for the day as go out. All in all, highly recommended! There was such a warm welcome, It just felt so homely, And a great base for visiting all areas, we visited Newquay, Perranporth, St Ives, Lands End, Penzance, and Padstow. It was nice to come back in the evening and just take off our shoes and just relax and enjoy the peacefulness of the cottage, and to just share in the history of this lovely cottage, even it was only for this one week. Cottage Review: We stayed 22nd september. Admitedly the weather was questionable at times however this did not affect our stay. the cottage was beautiful and the added touches such as the welcome pack were an added bonus. 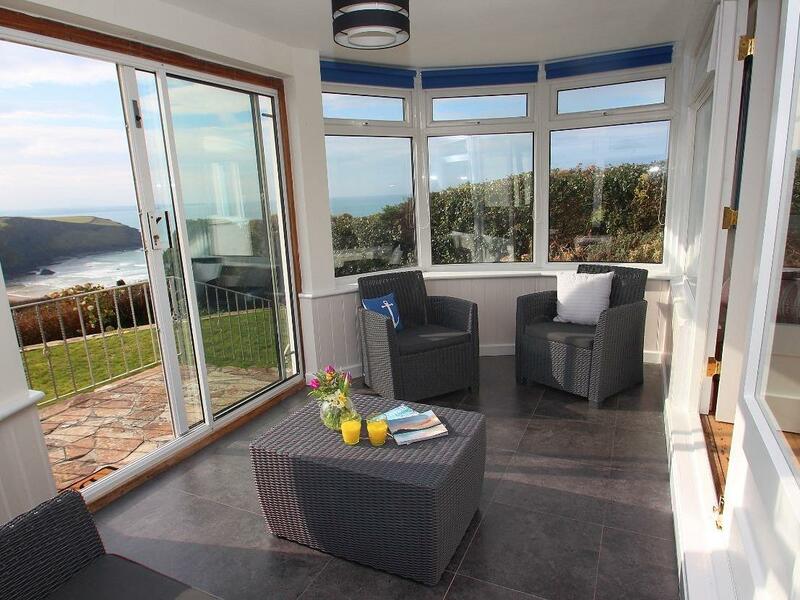 the location is great as it is peaceful but literally 5 mins from newquay. this place had a personal touch and we would stay again in a flash. Cottage Review: we have stayed in self catering accommodation all over the uk and europe over the last 40 years or so and this has to be right up there with the best if not "the best" we have stayed at, spotlessly clean, lovely location and all the little and not so little extras just made it. Cottage Review: We had a fabulous stay at Sunrise Cottage! The cottage itself is gorgeous and all the treats on arrival were very much appreciated. The cottage has loads of period features, exposed beams, stone walls and a log burning stove to name a few, with a real country feel to all the furnishings, there were even cosy knitted blankets for us to snuggle up under in the evening. We found some wonderful beaches not too far from the cottage and some excellent food and atmosphere at The Smugglers Den Inn, just a few miles away. Highly recommend the cottage, and the owners for being on hand for any advice we needed. Cottage Review: This is by far the best self catering let i have ever stayed in, the owners go out of their way to make you feel special, bathrobes, lots of towels, chocolates, biscuits and scones and clotted cream were all provided as were drinks in the fridge ! Beds are so comfy we could have slept in all day ! The cottage is ideally based for visting all parts of newquay (we didnt travel more than an hour and visted everywhere) and we always looked forward to coming back to the cottage. I cannot praise the cottage or owners highly enough. Cottage Review: This cottage really is as nice as it looks in the photos. It is very clean and tidy, and equipped with everything you could need, the owners really have thought of everything. An amazing welcome pack awaited our arrival complete with cream tea, chocolates, wine and biscuits. The cottage is situated in a really quiet lane with easy access to both north and south cornwall, perfect for a week of wrapping up warm and walkng the stunning coastal path and beaches of this part of the world. Cottage Review: My girlfriend and I stayed at Sunrise Cottage for one week in mid-January, and we absolutely loved it. The cottage is something like 400 years old and mainly of traditional stone and cob construction, with a relatively recent and good-sized kitchen and bathroom in a rear extension. It has a lovely warm and welcoming feel, helped by well-chosen and in-keeping decoration and furnishings. It is not a huge building but ceiling heights are good, the main living area is open, light and comfortably furnished, and all rooms are sensibly sized - just mind your head as you go up the stairs (it took me two bumps to learn my lesson!). There is safe off-street parking with good outdoor lighting. The kitchen is very well stocked with pans, crockery, utensils etc, and fully equipped with appliances including a microwave and washing machine (but not a dishwasher - don't be lazy!). Bedding and towels are provided and are of good quality (of course if you're staying a while, you may want to supplement these with your own). There's a large flat screen TV in the lounge with Sky and a DVD player, and all sorts of bits and bobs that make this cottage feel like a real 'home from home' rather than a sterile holiday rental - from fun stuff like games, magazines, DVDs to practical things like cleaning sprays, washing up stuff. . . as long as you have basic toiletries there's not a lot else you will need! If you do find you've forgotten something there's a Morrison's supermarket 5 minutes away, or a Sainsbury's about 10 minutes away if you prefer. The location is perfect for exploring Cornwall. I am quite a frequent visitor to the county and I usually stay near Newquay - being somewhere 'in the middle', nowhere takes too long to get to. The cottage is on a quiet lane which runs up to Trerice (an attractive Elizabethan manor house and gardens, National Trust), and although only 10 minutes from Newquay the setting is entirely rural. Two other things to mention. First, heating. If you're staying in the warmer months clearly this is a non-issue, but if like me you're staying in the winter be aware there is no modern gas central heating. Instead there is a Parkray fire and back-boiler, serving radiators around the cottage. This is perfectly capable of keeping you nice and warm, but it does not come on at the flick of a switch and it does require some work on your part. Personally I have never lived in a house without modern gas central heating and I had never lit a fire in my life - if I managed, then so can you! If it's cold the fire will already be lit when you arrive, and there are instructions, all the necessary tools, and a good supply of fuel to keep you going. If you're still unsure I have no doubt the owner would be happy to talk you through what you need to do. For me, learning to start, maintain and clean out the fire was fun and strangely satisfying - definitely part of the charm - I mention this not as a negative, just as something winter visitors should be aware of. Oh and take a plastic sheet or similar to put in the back of your car in case you need to buy another bag of fuel (5 mins away). Final point - the owners are a pleasure to deal with. Very responsive, great communication, happy to help with any queries, and they certainly go the extra mile to make you feel welcome in their cottage. From sweets on the coffee table to scones, jam and cream in the kitchen and old-fashioned bed-warmers waiting in the already made-up bed, it's clear they take pride in their cottage and want you to feel at home. In short we highly recommend Sunrise Cottage - and we will be returning just as soon as we can! Cottage Review: Coulnt have wished for a better place to stay, owners very helpful, location great and the special welcome pack was a lovely touch. I wouldnt think twice about recommending the cottage to others. Cottage Review: Very nice and helpful owner, they prepared the cottage to an excellent standard and made us feel very welcome. Cottage Review: As always our booking with Helpful Holidays went extremely smoothly, even though it was quite a late booking. You are definitely our first call for any break we taken in the south west. Cottage Review: We had a fantastic week in Sunrise Cottage! Directions couldn't have been clearer. Everything was in good working condition. Our hosts made us feel very welcome. We couldn't have wished for more! Cottage Review: Sunshine cottage was exactly as described. The owners touch was incredible, nothing was left to chance, including the the dressing gowns and high tea, sweets, beverages etc left for us on arrival. The only down side was the bathroom being downstairs, but it would have been been impossible to be anywhere else to keep the character of the cottage. I have already recommeneded people to look at the website for Helpful Holidays. Cottage Review: Just retuned from Sunrise Cottage, Kestle Mill. Lovely holiday and great location. Helpful Holidays has never failed to deliver. Thanks for another wonderful holiday!